Dear Friday I have been waiting a very long time for you to get here! Yay for the weekend. Dear Husband you have been so focused on school lately and I admire your focus. I am also very proud of you for starting to workout again. I wish I had your motivation. Dear Random Notebooks Around My House you are so filled with random math problems that I find it hilarious. I guess that what happens when people ask you for math help. I cant help myself I love math! yes I am a nerd at times. Dear Paisley Puppy you make me laugh every time I come home from work. You are always so excited to see me and so playful when I let you outside. You run all over the place just so excited to have someone with you again. 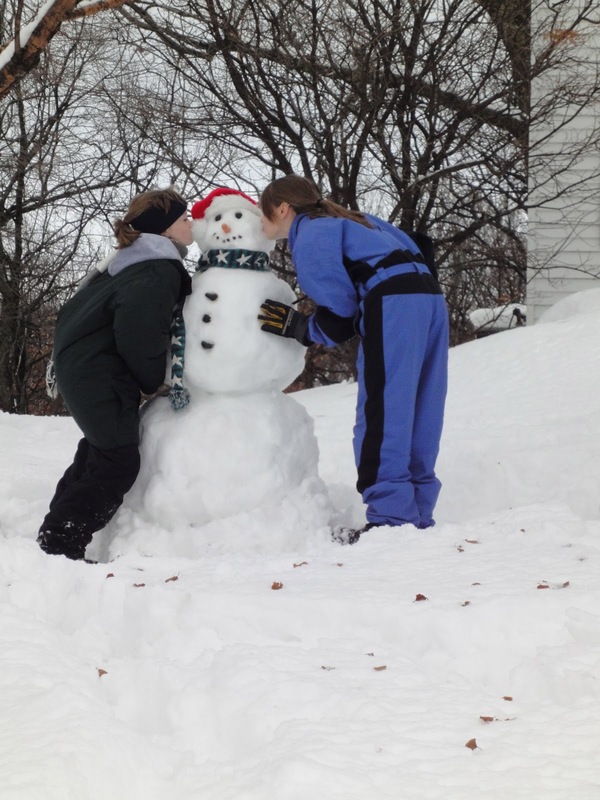 Dear Snow I wish you existed in Louisiana so that I could make another snowman! (even if this picture is really old). Dear Negative Weather Temps in Minnesota I do not miss you. It was 50 degrees warmer here this morning than there-according to the Minnesota radio that I listen to in the morning. Puppies are always so excited!! Stopping by from "Friday's Letters"!